After more than a month, the government shutdown has ended… temporarily. Why am I writing about this on an airline industry blog? Well, because the reason for its ending appears to be air travel-related. Now the industry needs to remain united to ensure that this doesn’t happen again if when the temporary funding expires on February 15. I don’t need to rehash just how bad this shutdown has been for the entire country on every level. But for air travel, the impact was particularly acute. Not only were thousands upon thousands of people in the industry forced to go unpaid while the government spat continued, but there were broader public impacts as well. Delta had to delay the start of flying for its new A220s. Though the delay was relatively minor since the government is back open now, had it dragged on longer there could have been a bigger impact with canceled flights or downgraded service. Southwest can’t start Hawai’i flying until the Federal Aviation Administration signs off, and that means higher fares and fewer options for travelers until the airline can gain FAA approval. Paine Field, north of Seattle, had to delay the start of commercial service, forcing booked travelers to go back to Seattle. Federal inspectors were not being paid, reducing the amount of effective oversight on the industry. Transportation Security Administration (TSA) workers didn’t get paid. Sick calls rose and some airports (Atlanta) suffered through long lines. Air traffic controllers didn’t get paid. Staffing shortages started piling up last Friday causing significant flight delays in New York and Atlanta. Pretty much everybody in any way even tangentially-related to the airline industry called on the government to stop these shenanigans. We saw normally adversarial airline CEOs and labor unions come together with lobbying groups to tell the government to stop this before it did irreparable harm. It was like watching Independence Day. You only need a good alien invasion to get all humans working together. The enemy of my enemy is my friend, after all. The breakthrough came as LaGuardia Airport in New York and Newark Liberty International Airport in New Jersey both experienced at least 90-minute delays in takeoffs Friday due to the shutdown. And the world’s busiest airport — Hartsfield-Jackson Atlanta International Airport — was experiencing long security wait times, a warning sign the week before it expects 150,000 out-of-town visitors for the Super Bowl. Well, there you go. Of course, federal workers aren’t allowed to strike or engage in any organized labor action. Just ask members of the old PATCO controllers union how that goes. When they struck in 1981, against federal law, they were all fired. While some federal workers might be willing to risk their jobs, most won’t. (And could you blame them?) That combined with controllers and TSA officers having a sense of duty to ensure the safety and well-being of the American people is probably why the system held up as well as it did over this last month. If labor actions are prohibited, then how did the controllers and TSA officers have an actual impact? That’s easy. They learned the importance of being healthy during the cold and flu season. We’ve all been in a position before where we’ve been sick, but we’ve come to work anyway because we knew things had to get done. But if you weren’t getting paid, would you feel as much pressure to push yourself and come in to work? I know I wouldn’t. Most of the country is seeing widespread flu activity according to the CDC as we approach the traditional peak of the season. Sick calls appear to have been ramping up in tandem with the flu peaking, something that just so happens to coincide with the government shutdown. TSA calls spiked, and we know that Atlanta saw the biggest pain. With the Super Bowl around the corner, could you imagine how bad that would look if lines were hours long? Then there are the controllers, which had less of an impact until last Friday. The Air Current reported that there was an unofficial sickout, and I think one anonymous controller’s quote says it well. I would never imply that we’re going to abuse sick leave… however it is cold and flu season and our contractual perceptions regarding sick leave still apply, so I personally wouldn’t be surprised if people’s self assessment regarding their fitness for duty becomes much more stringent. Of course it’s not just cold and flu. Not getting paid puts tremendous mental stress on a person, and if a controller isn’t fit for duty for mental reasons, he or she needs to report in sick in order to make sure that safety isn’t compromised. The shutdown went on long enough that I have to assume people’s mental states started deteriorating as they had to worry more and more about how they’d pay their bills. And things came to a head on Friday. That appears to be the proverbial straw that broke the camel’s back. Now the government is back open again, but it’s only for a short time. While President Trump gave up on keeping the government closed until he got his border wall funding, he only gave up temporarily to deflect all the negative coverage he was receiving. Once February 15 comes around, if there’s no deal, then what happens? If the government shuts down again, we’ll be back in a world of hurt just as we were before. If that happens, let’s just hope that cold and flu season really takes its toll swiftly. After all, as we learned on Friday, if the air travel system is disrupted, then that forces our leaders to do their jobs. Just spitballing here, but maybe, just maybe, it ain’t the healthiest thing for 330 million people to be so reliant on 536 people on Pennsylvania Avenue. Then what do you suggest, let each state do what ever they want to do? I mean if one state wants to operate under biblical law, should that be allowed? What about issuing each state it’s own money & what about exchanging said money between states. This ends up going down a slippery slope the more factors or complexities you look at. Curious – I come across this line of thinking now & then & I never get straight answers when I ask direct questions. Wrong forum for politics Sean. Goto Russiancollusion.com or wherever to troll people about how Liberalism can save the world. Stick to aviation here. Well your illusion that privatization/free markets fixing the worlds ills has shown itself for what it is, a huge money grab for industry & Wall Street. FYI I never mentioned politics in any statement I made above. I did want to see how far you would defend the statements you projected & I must say I did enjoy you calling me snarky – thanks for the great laugh. You asked for an example where privatization worked. I gave you three relevant airport screening examples where it works. Not sure if they are public companies or private companies, profit is not a bad thing. Cue the crickets on your response. Remember, It was commie pinko liberal Jimmy Carter that un-regulated the airlines. There are exorbitant taxes on an airline ticket. They need to be reigned in. I pulled a recent 3 leg trip I made. $759 base fare. Then, $11.20 9/11 fee, $56.93 transportation tax, $18 passenger facility fee, $28,70 flight segment tax. By my shaky math that comes to over 15% tax or over $110 on one ticket! I get that the government is / was shutdown, but don’t some of those tax go directly to funding TSA and air traffic controllers? If not, let’s privatize the entire thing and keep government out of this industry. Taxation without representation does not work in this country. Can you name a privatization scheme that didn’t involve Wall Street or one that actually worked? Don’t worry if you cant, they are as rare as a unicorn. WOW that is a snarky comment. I am trying to solve a problem and you are playing politics. Not in this forum buddy. My issue is / was air travel being disrupted when it is funded via airline ticket sales due to a government strike. However, in answer to your insipid comment, have you ever traveled through SFO, ROC, or MCI? I have traveled through each of them recently. Notice a difference? They are private companies that do screening in those airports. I feel they are more polite and certainly more efficient. Most articles free of bias agree. I love snark – it makes my day. Do you think most similar functions of government should be privatized? In your other comment, you stated the below (never get answers). Yet I gave you concrete proof that debunks your privatization never works and you change the subject. SMH. Have you seen SFO, MCI or ROC is action (there are others too)? They work well from a passenger perspective. Privately funded and operated ATC in Canada seems to work just fine – love at NAV Canada. What I do find amusing is how everyone’s shouting that we need to privatize TSA. If you all recall, TSA was private until 9/111 and then everyone freaked out about the lax security and demanded the government take it over. I may be rare but I still do believe in our government’s ability to do it’s job for certain functions, at least outside those of the executive and legislative branches. Chris, have you booked a domestic flight in Canada or a flight out of Canada? Flying from the US to Canada (on an award ticket, so it’s just the pure use fees): US$5.60 in taxes. Flying from Canada to the US: US$45 in taxes. Now granted, much of that is the US Customs and Immigration fee (something Canada doesn’t charge for flights into Canada; I believe that Customs is funded out of general tax revenues in Canada, whereas it’s funded out of use fees in the US), but the Canadian per-enplanement security charge is also nearly double the US security charge. Also, my understanding is that NAV Canada (a not-for-profit corporation, not a for-profit company) is funded by a fee to airlines. So it may not be itemized in your ticket, but you’re definitely paying it (and the amount you’re paying is opaque). I don’t think there’s any evidence that governmental and non-governmental air traffic control or security are appreciably different in their cost efficiency or that privatization would result in lower “fees” than the current “taxes”; I certainly haven’t seen any such evidence in this thread. Frankly, I think that listing the taxes and fees the way they are (especially that airlines are allowed to lump YQ “fuel” surcharges in with “taxes and fees” so that unsaavy customers think that it’s the money-grubbing government taking their money, not the airline) is a deliberate attempt to make customers angry at the government. And by the way, the claim that “privatization is good” and “taxation without representation” are non-political comments that are OK in an aviation forum but “privatization is bad” is a political comment that’s not OK is very much a political statement in itself. 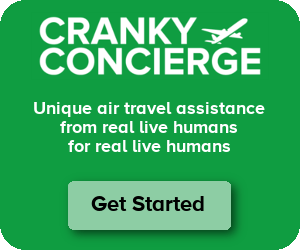 The reality is that the US Congress has decided that it should be user fees rather than income tax dollars that fund most of aviation operations, and they’ve also generally itemized those charges on passenger tickets rather than effectively hiding them in the airfare as fees to the airlines. Could aviation security be done for less money than is done in the US? Certainly. Could a private organization that is meeting the (in many ways poorly-thought-out) security standards imposed by Congress and desired by most of the public (not me) and the airlines more cost-effectively than the TSA? I’m not at all convinced. Yes, it’s nuts that a Presidential temper-tantrum led to a shutdown of the government. The government is important in many ways for many reasons. For people wealthy enough to travel frequently, aviation is one of the more visible roles government plays. But the problem is the shutdown, not the fact that government is responsible for aviation safety and security. Oops; that should have been addressed to Jeff, not Chris. The bulk of the ‘taxes’ flying into the US, are US fees, so how exactly is that a liberal problem from Canada? NavCanada – a private, non-profit corporation that funds itself through fees. Its an interesting question . . . . how much is the TSA / FAA funded through “fees” versus general taxes? In other words if the TSA / FAA has its own revenue source (ticket fees, whatever), shouldn’t they be shielded from this type of shenanigans?? Accordingly to the airlines themselves, they pay FAR more in taxes than they accept in government benefits. I’m sure it can be argued many ways but for example, the airlines essentially fund GA airports around the country as there’s no way fees generated by tie down stands are you local GA airport could support it. Jeff – Sure, some of it is allocated specifically for some purposes, like the $11.20 fee is for security. But it still gets held hostage by the government if there’s a shutdown. It doesn’t really bypass the process. Total US tax revenue in 2015 was about 26% of US GDP. The average for the OECD was ~33%. Alex your mixing apples and oranges. We pay for airline tickets with after tax money. Sales tax in Florida is 6%. 15% is stiff. Where do these funds go? Sales tax doesn’t apply to airline tickets; I’m not sure how that’s relevant for ‘after tax’ money. Likewise, the 15% you paid is not a 15% tax that’s directly applied to the ticket, that’s what it nets out to. The federal excise tax is 7.5%, which isn’t stiff at all. Other fees are charged either per-trip or per-segment, so your three-segment trip actually incurred more PFCs than a one-way ticket. And even when accounting for income taxes, again, the US overall tax burden is rather low. So what’s ‘excessive’ about these taxes and fees? Just claiming something is excessive without any comparison seems a bit odd. Excessive compared to what? How else should airports and the FAA raise this revenue? If you don’t think they should raise the revenue, then how else should they fund stuff? Surely, the mere collection of a small tax or fee isn’t excessive by definition. Likewise, these services all need to be funded. If you don’t like the 9/11 security fee ($5.60 per one-way flight) then how would you choose to fund security? Wouldn’t you assume that all of those costs would be passed on to the consumer in one way or another? Actually Alex I think we are saying the same thing, or maybe just talking past each other. Let’s break it down by point. How much does it cost for TSA security? (rhetorical). Does the $5.60 pay for all that expense? I am curious. Second, the PFC taxes, does that pay for FAA? Airports? I know a few years ago airports where using some of their PFCs for sound proofing peoples homes near airports. Inappropriate in my opinion. As for the balance of the taxes, where is this money going? Airports are maintained by local municipalities. They collect fees for parking, food, maybe even landing fees. I believe a low ticket costs encourages more people to fly. That stimulates an economy more than a lot of other incentives. The government should be using the traveling public as a revenue source. It should be revenue neutral in my opinion. So why complain that the fees are excessive? You’re asserting that 15% on your ticket is excessive without actually saying what the right rate should be, or what the right rate is to recover the costs. The vast majority of the TSA fees are directed back into airline operations – and any diversion is more than supplemented by the TSA funding that comes from general fund appropriations. In other words – it already is ‘revenue neutral.’ Airports in the US are largely funded by users. Imagine if IAD, BWI, and DCA had issues with air travel? If Congress and senate are stuck in DC or unable to get there? Just saying that the DC swamp probably REALLY hampers wellness during cold and flu season ? It’s a shame we couldn’t shut EAS while the government was shutdown to prevent senators from nowhere getting to and from the Senate. That would help them realize the importance of our aviation industry. I don’t need to rehash just how bad this shutdown has been for the entire country on every level. TBH as a normal citizen I barely noticed the shutdown at all and wouldn’t mind if it lasted longer. I guess for ATC and TSA, why do they need to get their monies from Uncle Sam? Maybe don’t go as far as Jeff says with privatization, but why not direct that tax money to go their pay even if the fedgov goes down? Because they are deemed “non-essential” which is somewhat absurd. As for not noticing, you’re probably right – if it had gone on longer, you wouldn’t have noticed. However, anyone receiving a check from the government (i.e. Social Security, benefits, etc.) would have noticed in a few months. Your tax return? Good luck getting that. For example, I have a relative who is a diplomat who was furloughed during the shutdown. I would argue anyone responsible for negotiating with foreign powers should be deemed “essential” but I don’t make the rules. It’s kind of absurd that we are the only country in the world that when a budget is passed, we still have to pass another bill to fund the budget. Most countries take that as a given. No, they are not deemed non-essential. If they were, they would have been furloughed and not allowed to work. A_B – Well that would be the dream. But of course, it requires the government to make that change. So… yeah. > Maybe don’t go as far as Jeff says with privatization, but why not direct that tax money to go their pay even if the fedgov goes down? I would really support making ATC and even TSA non-profit public corporations, funded 100% by user fees. As others have mentioned, it seems to work well for our friends to the north. How do you get two siblings bickering over a piece of cake to knock it off? One cuts. The other gets first pick. How do you deal with two problem employees at work? Stuff them into a conference room and tell them to work it out our they’re *both* fired. That’s the kind of approach we should be taking with this. Because both sides are acting like spoiled sh!thead children. A wonderful analogy-but in this case we must remember that one of the children has, aside from being a serial liar, proven to be completely untrustworthy and (so to speak) “mercurial” to the point the no one really knows if he has any plans at all save self aggrandizement. The entire thing is quite petty on both sides, especially since we’re talking about a rather nothing figure in the dollar amount when compared to the total federal budget. It’s politics at its worst, but that being said as much as I hate politicians holding the country hostage, I don’t want the ATC or TSA employees doing that either. As the late Senator Everett McKinley Dirkson put it, “a billion here and a billion there-pretty soon you’re talking about real money”. I find it telling that nearly a million Federal workers not getting a paycheck (with many of them still being required to work) and many more Federal contractors (including about 25% of my effort and salary) not being able to work and not eligible for back pay, national parks not being staffed with litter accumulating, and all the other impacts wasn’t impetus for the President to agree to open the government (as the Senate had agreed to unanimously before the shutdown Senate and the House voted to do the first day of the new Congress). But a few thousand air travelers (almost by definition an above-average sample of the American income distribution) having their flights delayed 90 minutes on a Friday morning? Get that government ope now! The whole thing is shameful and should never happen again. A government should never shut down. If one person can shut down the government, then we no longer have a democracy. One person didn’t shut down the government. At least THREE people shut it down. But truthfully, the whole legislative branch deserves some of the blame. It’s the job of the President to protect the country from invaders. If the legislature disagrees with how the President doesn’t want to do it, and therefore refuses to fund it, why is it solely on the President? He is the one that closed it down, and that should never be allowed to happen. No matter the reason, one person decided to shut the government down. Would you have said that about Schumer when he shut the govt. down last year? You can legitimately accuse Schumer, but he he was smart enough to back out in couple days. So no-one really noticed. I love your posts and thank you for giving us information of the airline industry but you can’t blame Trump for all this. Both sides are to blame. Speaker Pelosi wouldn’t go near a chair to sit and discuss, nor compromise….and you should have mentioned this in your report. Mary – I do put the blame squarely on Trump here. Trump decided that he would couple keeping the government open with demands to fund the border wall. The Dems wanted to decouple those things and just get the government back open before getting into complex negotiations over immigration policy. I can understand Trump wanting to use the shutdown as pressure to get the Dems to cave on immigration, but it was pretty clear early on that wouldn’t work. Once it became clear, he should have moved off his position quickly and reopened the government so he could then proceed on the immigration negotiation separately. Instead, he kept waiting, did more damage, and then finally did what he should have done previously. Not to mention that the Republicans had the House, Senate and WH for 2 years and couldn’t get the wall done then either. Exactly – and I wonder why that obvious fact was & still is being missed by so many. Because it’s an inconvenient fact that Fox News would rather ignore. You can’t blame him 100%. Pelosi never came to the table to debate, never wanted to talk about it. It takes two to tango and she never got on the floor even though he invited her! She is just as much to blame as he was. Pelosi (of whom I’m not a fan) isn’t the issue. The problem is that even the Republicans don’t want the wall. It’s not a Dem/Republican issue. It’s an Executive branch vs. Legislative branch issue. Fortunately, the founding fathers gave the Legislative brand the “power of the purse” to ensure that they will always be able to hold the President in check. Trump owned the shutdown, Mary. Trump was proud to own the shutdown, and his ego will allow him to own it again in a few weeks time. Check your facts, Bobber. The democrat hacks are equally to blame. They could have prevented the shutdown, but they chose not to. Since the PATCO strike took place almost 40 years ago the crunch time for ATC controllers is upon us, what with their lengthy training processes, etc. Seems to me that this government shut-down is a great way to encourage controllers to retire now and not go through hell again. And, I wouldn’t blame them – they do a superb job. ATL had 2 hour security lines on one Monday morning but there were many times when lines were at or less than normal averages. There were multiple airports that had peak hour delays greater than normal but operated close to averages for the majority of the time. Let’s not doubt that the media and some in the airline industry wanted to highlight the relatively small deviations from normal for political purposes (right or wrong). Several Northeast Corridor airports from NYC to WAS were at orange or red due to ATC capacity limits on the days before an agreement was announced; ATL never was. Regardless of the funding mechanism going forward. airlines need to find a way to ensure that government services that are funded by fees are exempt from government shutdowns as long as the fees continue to be collected. And for those that argue for privatization, it isn’t a given that contractors could continue to work if they do so based on taxes and fees that are collected by the government. The biggest political pressure from the shutdown was the government workers who weren’t getting paid and were increasingly unwilling to support the President. It is nice to think aviation had a major roll in the shutdown but the economic impact of all those employees not being paid had far more effect. It will be very interesting what will be done differently if this process repeats in a couple weeks – or if another mechanism will be used to accomplish the President’s agenda. I doubt we will see the same shutdown strategy or impact again in this presidency. Several comments above alluded to the delays for TSA and ATC in various parts of the country. So the system was starting to buckle. I believe this was the sole reason why the shutdown was ended (at least temporarily.) Why? The Super Bowl is just around the corner. How bad would the optics be if the system couldn’t handle this event? Not only would it this be on all the news programs, but sports programs as well. In less than 3 weeks, my guess is we’ll see this mess repeating itself, like in a Groundhog Day movie. I see a country-wide flu festering out there, on land sea, and air! And, we’re incapable of stopping it. Methinks it should not be the government’s right to demand that any government official, government employee, or government contractor–janitor, librarian, safety inspector, TSA officer, air traffic controller, a Governmental Departmental Secretary, whatever, be required to be on, or ready for duty, and not be paid at the amount of and at the customary time payment for such is due. To do otherwise is slavery. Taxiing out of IAD Wednesday night, I couldn’t help but notice that ATC sounded a bit worse for wear. +1 for ensuring that governmental services funded by user fees stay open as long as those user fees are collected. I’m also on the side of privatization (non-profit corporation seems reasonable) but I’ll take what I can get. User-fees might make sense, but would the public support and increase in airfare? If security would be based only in the fees, then they would have to be increased. Is there any appetite for that? I don’t the know the answer. User fees are already how ATC and aviation security are mostly funded. But it’s still a government agency and a government operation. Remember that taxes and all other sources of government revenue were also still collected (or accrued) during the shutdown. (Of course, the shutdown ultimately costs the government money because workers get back pay — as they should — and shutting down and starting back up incurs considerable expenses.) The shutdown had nothing to do with a lack of available money; it had to do with a lack of authority to spend that money. That’s no different for mostly use fee-funded government activities like aviation and national parks than it is for things funded out of general income tax revenue like NASA, the FBI, and the Smithsonian. Spinning out use fee-funded government functions is no panacea; the real issue was that the government shut down in the first place, not that some government functions were affected. Hey Cranky, we all know you’re a democrat and it shows. But you said it was the President who refused to budge. It’s the democrats and liberal republicans who refuse to budge on upholding the immigration laws we already have in place. He’s just doing his damn job.